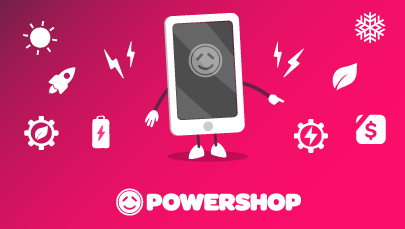 With Powershop, you can choose our original Shop or be a PowershopLITE customer. It’s up to you and what suits your energy needs. What's the difference? Both Powershop and PowershopLITE give you full access to our usage tracking tools via the Powershop app and online account. And of course, our awesome award-winning customer service and 100% carbon offset energy all at no extra cost to you. Powershop is the option for those who love savings. It offers the best overall value thanks to the extra savings you get from buying discounted Powerpacks. 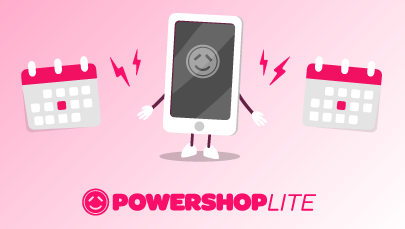 PowershopLITE is the option if you love a good deal but prefer a bit more simplicity. You don’t mind missing out on the extra savings you can get from shopping for power, but still want to be with Australian’s greenest power company. To sign up to PowershopLITE, give us a call. Our details are here. No matter which option you choose, you’ll still get all the things that make being with Powershop so great for you and the environment.